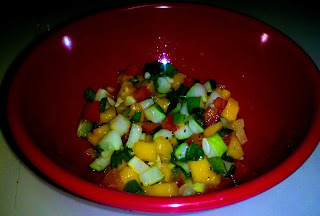 Inspired by a salsa I found at Baja Fresh, I created my own, Paleo-friendly version. 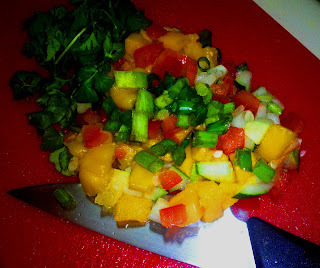 Chop, mince and dice the mangoes, red bell peppers, spring onions, cucumbers, and cilantro. Use your discretion here - pineapple pairs nicely, or you can add some garlic or onion powder for flavor. It's up to your taste. Put all ingredients into a small bowl and toss. Squeeze juice from half of a lime and half of a lemon over the mixture. Stir well to coat evenly. 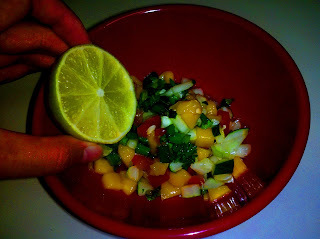 You can serve fresh, or let the salsa sit in the fridge. Like most foods, it tastes better the longer you let it marinate. 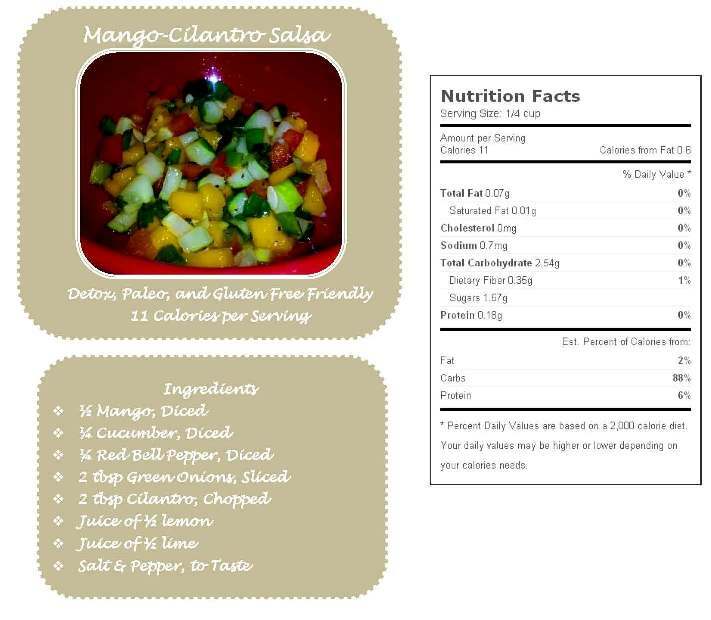 Serve over fish or chicken to add some fresh, tropical flavors.